Scoliosis can be a scary and confusing disease. Receiving the diagnosis for the first times changes your life. Scoliosis is measured by a technique known as the Cobb Angle Measurement. This technique is able to determine the severity of the scoliosis and is calculated in degrees. The diagnosis of scoliosis is given when a curve measures 10 degrees or more. Treatments vary widely between chiropractic care and the medical model approach. Let’s first take a look at the medical model approach for treating scoliosis. While researchers continue to uncover all the complexities of scoliosis, one truth remains: smaller curves progress into bigger, more aggressive curves. Despite this fact, many medical doctors still recommend observation or the “wait and see” approach for patients with curves under 25 degrees. Unfortunately, this method of delaying treatment reduces the patient’s opportunity for stopping curve progression early, while the scoliosis is most manageable. Many cases of scoliosis will continue to progress. Scoliosis can continue to progress after skeletal maturity. Even a small curve can cause breathing issues. The rationale behind observing mild scoliosis is that once a patient reaches the age of 18, the curve will not progress, however this is not supported by research. It has been shown since 1969 that scoliosis can continue to progress after skeletal maturity. Collis & Ponseti followed 215 cases of scoliosis after maturity and documented an average curve progression of 15 degrees. Korovessis et al showed that a mean progression of 2.4 degrees per year over the course of 5 years in patients who had reached skeletal maturity. In other studies by Weinstein et al showed that 68% of scoliosis cases progress after skeletal maturity. Every Curve Starts out Small. Take action now! 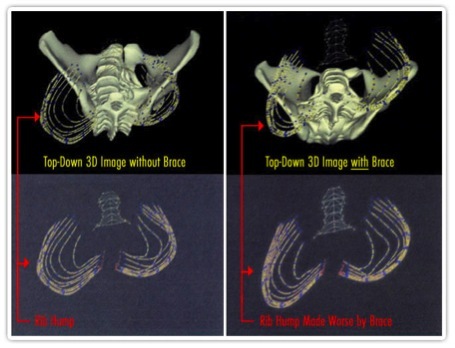 The goal of bracing is not to correct scoliosis but to prevent the curvature from progressing to the point where surgical intervention becomes necessary. For moderate scoliosis curves (25-40), bracing is still the most common treatment method recommended. While many doctors in the US still recommend a soft or rigid brace to halt the curve progression, scientific studies question the effectiveness of this practice. In some cases, the forced correction of a brace actually causes an increase in patient’s rib deformity, commonly known as a rib hump as you can see in the image above. Even if a brace is successful and does not increase deformity, all benefit is lost once the brace is removed. According to a 2007 article in the medical journal Spine, bracing was graded a “D” for its ability to halt curve progression. Both patients and researchers agree that we need a better system. Bracing will not correct scoliosis. Bracing or not, there is little difference in the end result. Many patients who wear a brace continue to get worse. 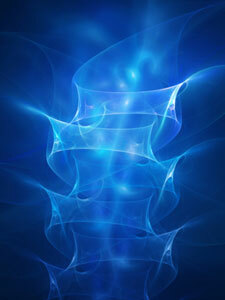 In every patient that undergoes spinal fusion surgery, there is a permanent loss of spinal flexibility and function.? When bracing fails spinal fusion surgery is often recommended as the only way to keep the curve from progressing. When considering this as an option patients need to be aware of the documented risks of this highly evasive procedure. Scoliosis can continue to get worse after surgery? Over 20% of patients require more than one operation? 40% of patients are legally disabled 16 years after the procedure? Ribs are often shaved down or removed permanently compromising lung function? 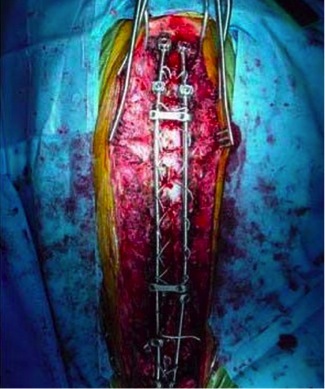 Other documented risks of spinal fusion surgery include: bone fragments or instrumentation penetrating the spinal canal, breakage or bending of the implants, and compression of the spinal nerves causing partial or total paraplegia, quadriplegia, or peripheral nerve damage which may occur up to 10 years after surgery.? The image above gives you an clear idea of just how evasive this procedure can be. There is another approach that is proactive, non-evasive, and proven effective. Read more. 4. Dolan LA, Weinstein SL. Surgical rates after observation and bracing for adolescent idiopathic scoliosis: an evidence-based review. Spine 2007; 32 (19 Suppl. ): S91-S100. 5. Danielsson, AJ, Nachemson, AL. Radiologic findings and curve progression 22 years after treatment for adolescent iodiopathic scoliosis: comparison of brace and surgical treatment with matching control group of straight individuals. Spine 2001;26: 516. 6. Connolly PJ, Von Schroeder HP, Johnson GE, Kostuik JP. Adolescent idiopathic scoliosis (AIS): long-term effect of instrumentation extending to the lumbar spine. Journal of Bone and Joint Surgery 1995; 77-A: 1210-1216. 7. Rittmeister M el al: Cauda equine compression due to a laminar hook: a late complication of posterior instrumentation in scoliosis surgery. Eur Spine J 1999;8: 208-210. 8. Dickson JH, Erwin WD, Rossi D. Harrington instrumentation and arthrodesis for idiopathic scoliosis; a 21-year follow up. J Bone Joint Surg 1990; 72-A:678-690. 9. Hawes M: Impact of spine surgery on signs & symptoms of spinal deformity. Ped Rehab 2006; 9 (4): 318-339.